New Zealand Defence adviser in Suva Lieutenant-Colonel Josh Wineera has con­firmed that Operation Wasawasa II has not ended despite HMNZS Taupo’s departure last week Sunday. Lieutenant-Colonel Wineera said the opera­tion would continue and HMNZS Taupo would be replaced by a larger offshore patrol boat, HMNZS Otago. The vessel is expected to arrive by the end of this month. “The ship can sail with around 70 people and com­ing to Fiji is a crew of about 50. It is a larger patrol vessel that can take more Fijian officials for opera­tions,” Lieutenant-Colonel Josh said. 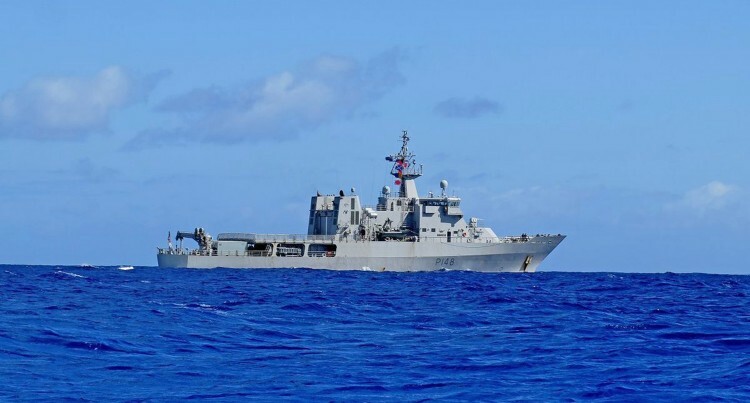 He said he was excited about the Navy vessel which would continue its operation into the deep Exclusive Economic Zone (EEZ), where HMNZS Taupo was not able to go. He said they would work closer with the Fiji Navy, Fiji Revenue and Customs Service (FRCS) and the Ministry of Fisheries. “The ship is much larger and doubles the size in terms of the ships compliment. Lieutenant-Colonel Wineera said that during their operation in Fiji, HMNZS Taupo had conducted a lot of training work with the Fijian authorities and onboard with his team were Fijian Navy sailors whereby they trained 15 others including fisheries officers and FRCS officers. “New Zealand has been doing this security and sup­port operation in Fiji for over 70-years, so we have a long and proud history with the Fijian Government and its people,”Lieutenant-Colonel Wineera said. He said that HMNZS Taupo has added to the legacy of operation Wasawasa II with some impressive sta­tistics. The vessel has been at sea for 36 days and has trav­elled 6000 nautical miles, 11,000 kilometers, the same distance from Fiji to New Zealand and return twice.